With over 10 years of working in the criminal justice system and not to mention, being a wife to a law enforcement officer, I’ve seen and heard of all types of sinful behavior that lurks in the shadows of the night, and the evil that arises from the cracks – like roaches – while the rest of the world sleeps. It doesn’t take an experienced person, however, to know that evil relishes in the dark where it is temporarily hidden by a thick shadowy blanket. It’s the reason we have our kids come in before dark; why we lock our doors, check our windows and set our alarms before bed; it’s why we’d rather drive home on fumes than stop at a gas station in the late night hours. Once the morning comes, however, once those rays of light come piercing through our window and warm our face – all is well. In the dawn of the day we feel renewed and refreshed. We open our windows and unlock our doors – we let our kids play outside and have no problem pumping gas. There’s just something about the light that makes us feel safe and secure. I’m no criminal and I can venture to say you’re not either but, we too, can try and hide our sinful deeds under that shadowy blanket. We bury it deep down in the crevasses of our soul, hoping it will never be discovered. This is one of the main reasons people don’t come to accept Christ – I know it was for me. I was not afraid of the dark – I was afraid of the light. 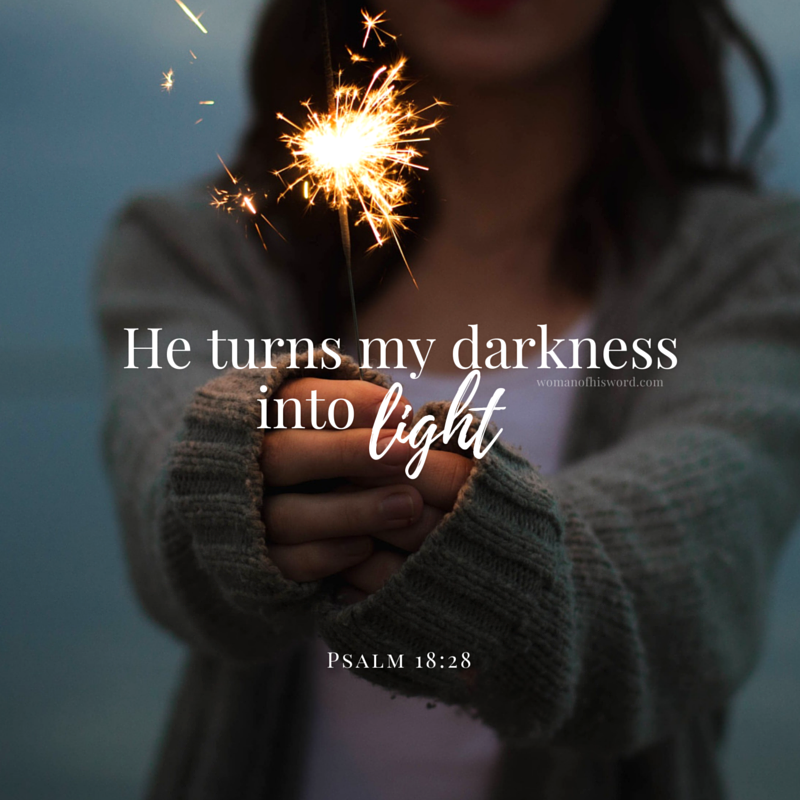 The light always uncovers what is hidden in the dark and for a long time I refused to let the light in; you mean have my sin and shame exposed – not uh – put it all out there in plain sight for God to see – no thank you! What I failed to realize was, He’s already seen it all! As Psalm 139 so beautifully puts it, there is no place we can hide from God. He knew us before we were formed; he knows when we sit down or stand up – even if we asked the darkness to cover us, even that could not hide us. Knowing what I know now and experiencing the wondrous warmth of Jesus’ light, I wish I would have arose from that hiding place a lot sooner than I did. I urge you, if you are in hiding, step out of the darkness and let the fullness of God’s light shine on you. 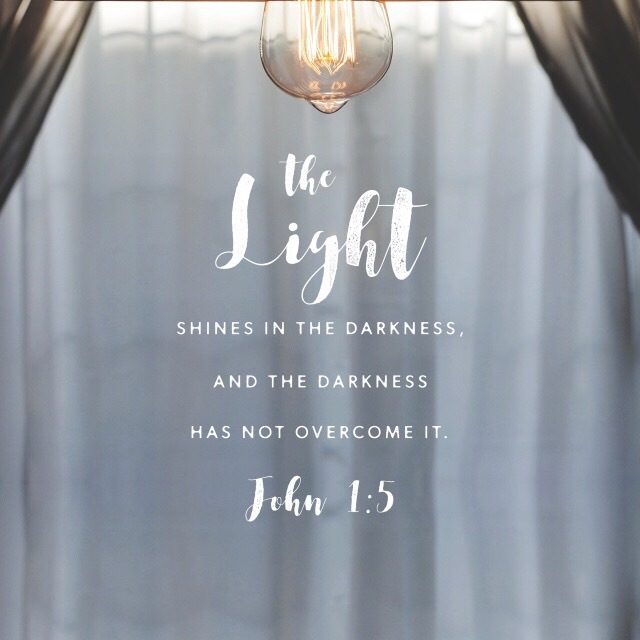 Let it reveal all that’s been buried deep down inside so that you can be free from the toxic tendrils of sin and shame – Jesus conquered darkness so that you may have light. Stop & Reflect: Are you hiding in the shadows from God? Is there something that you have buried deep down? Are you afraid he’ll expose what he already knows? If so, that is too heavy a burden to bear when you have the free gift of Christ. You can’t know his fullness until you let his light in, even into the deepest darkest places. I’d love to hear your thoughts on today’s post, feel free to share your heart below. loved browsing your weblog posts.